Dear fans, I hope you will forgive me, but I find it necessary to change the number of Cottonwood Clarion Newsletters we produce each month to one the LAST SUNDAY of each month. We will continue to put up new Cartoon Features each week on Sunday including the Merlin Fanshaw Weekly Puzzle Contest. So just set your Favorite or contact calendar to http://www.stanlyndeauthor.com to enjoy all the latest cartoons and features that we have posted at Stan's blog, and while you are there, if you're feeling moved by the cartoon feature, please leave us a comment. You can expect a reply by Stan or me, or other fans. 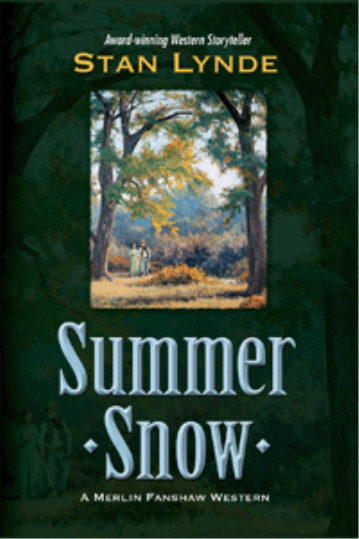 And while I won't be sending out a reminder for the next Stan Lynde Western Chat Room on May 7th at 7-8 p.m. I will trust that we will hear from you during the chat. You can sign up in advance by going to http://stanlynde.net/chat-room_290.html and sign up with your real name, or a made up western handle if you wish. Think of it like an Author's Book Signing Event, only you get to visit with the author for a whole hour. 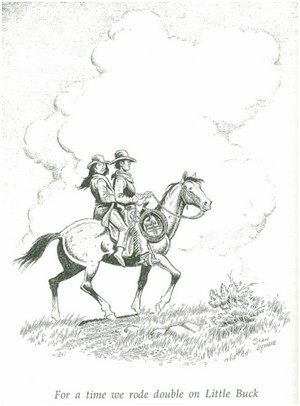 Beginning next week, in Stan Lynde's Cowboy Lore and Legend an eleven-week series of illustrations and text depicting the various stages of an old-time cattle drive. 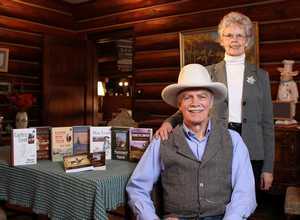 Originally produced as a calendar celebrating Montana’s 1989 Centennial year, the series was—and is—a tribute to the big drives of the 1880s that brought cattle by the thousands from Texas up the long trail to Montana. Saddle up and ride along! What makes a good western novel or movie (continued)? We plan to share some snippets from the chat room each week in the newsletter, as it is a great way to share knowledge and bounce western trivia to Stan, who has an incredible amount of information in his mind from a lifetime of living it. LyndaLynde: Stan is busy arranging the plot and outline for the next book. It is so fun to see him putting it all together. 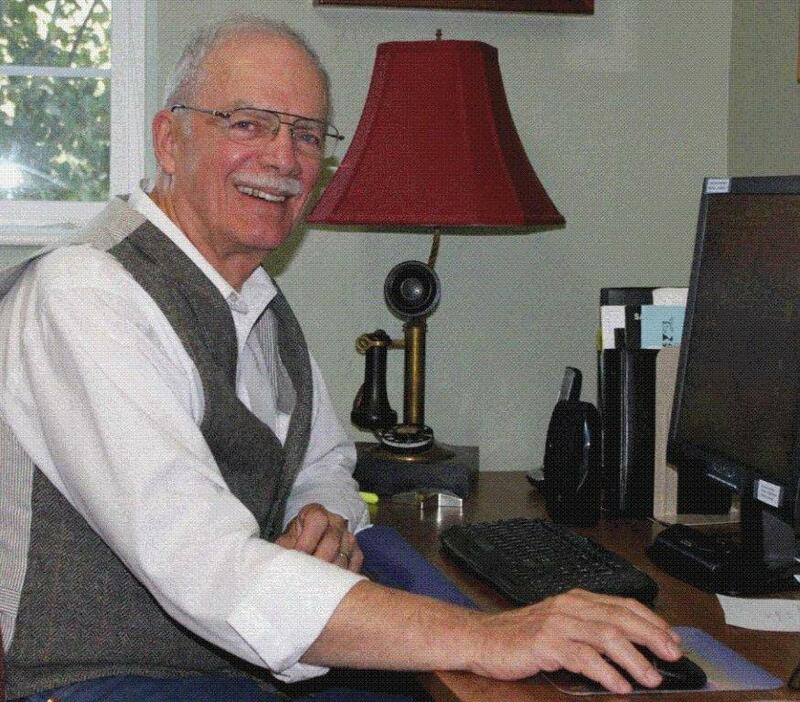 He received a very encouraging email from Mindy Wilke who is copy editing The Big Open, and she loves it! Bunnabo: oooeeee! I can't wait for that one! Did you say it takes place near Miles City? Stanlyndeauthor: Miles City and the Big Open country to the south between the Yellowstone and Powder River. It's STILL biG AND open. Bunnabo: we have been through that country many times but haven't spent any time there. As a note…when you have multiples of people chatting, it can seem a bit frantic as when one person is sending an email, another is busy typing an answer. If you think about how our "modern" newsroom interviews go with people all talking at the same time, you'll get the picture. And if you let go of thinking in a straight line (like I would prefer), and let your inner child enjoy the flow, it actually gets pretty fun. If you would like to order your own copy of these books, just click on the book link. It is available both in E-Book for $2.99 and Trade Paperback for $9.99. Also click on the Audio Sound 'button' and hear some of the story read by Stan himself (he reads is own novels for his Audio Books). Merlin and Pandora riding double on Little Buck. Merlin's special lady in several of his Merlin Fanshaw series. “In spite of my helping to put him in prison, George's attitude this morning was matter-of-fact, almost friendly. I took a deep breath and waited for the other shoe to drop. George crisped the bacon, sliced the potatoes, and chopped up the onion, then fried it up in Graves's fire-blackened skillet. He brewed a second pot of coffee and got plates and cups from the pannier. "Come and get it, boys." He said. Odd--two corpses lay just downwind, and I was hungry again. So much for death ruining my appetite. I've been around George Starkweather thirty minutes, and already I've grown calluses on my heart. I forked the grub in with gusto, thinking only how glad I was to be alive. We finished breakfast and divided what coffee was left in the pot. Pronto drank his and went to see to the horses. George lit up a stogie and offered me one. "Much obliged, Cap'n," I said, "but I don't use tobacco. Never did." George exhaled blue smoke. "You didn't four years ago," he said. "I thought maybe you'd took it up since then. People change." He sipped his coffee. Above the rim of the cup, his yellow eyes were intense. "Take you, for example," he said. 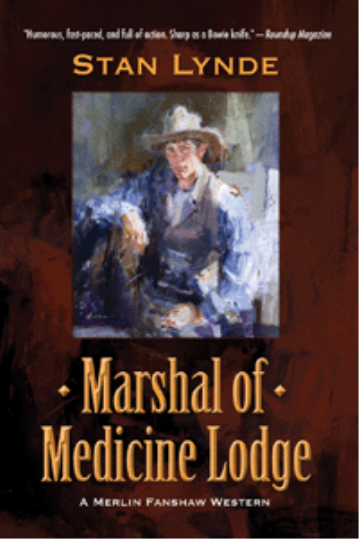 "I heard you became a lawman--deputy marshal under Chance Ridgeway. Is that a fact?" I forced myself to meet his gaze. "That's a fact, Cap'n," I said, "but like you say, people change. I'm runnin' from the law these days." "Stole a horse from Thane McAllister out of Dry Creek. Glenn Murdoch was fixin' to lock me up. I got hold of a gun. We struggled, and I shot him." George nodded. "And then you broke Rufus out of jail and the two of you lit out. Was that the way of it?" My mouth was dry. George was testing me, asking questions he already knew the answers to. "Yes," I said. "That's how it was." "How did killin' Glenn make you feel?" "Bad. I never meant to shoot him." "Why did you break Rufus out?" "To tell the truth, Cap'n---I figured he might lead me to you." "So you could maybe bring me in? Chance Ridgeway would like that." "You're forgettin' about Glenn. There's no goin' back from a killing." George was silent for what seemed like minutes. Sweat crawled down from beneath my hat brim. I felt like a mouse being studied by a snake. This time it was George who looked away. He seemed to accept my answers. "No, there ain't," he said, "especially from the killin' of a lawman. All right, why did you want to find me?" "I wanted to ride with you again, Cap'n." Again, George fell silent, like he was weighing my words. At last he said, "I reckon you ain't the first man to walk on both sides of the law." To answer, you must go to Stan's blog http://stanlyndeauthor.com/?page_id=2268. Click on 04-29-12. The contest is pre-set to begin at 6 a.m. MDT for those early Sunday morning risers. Check out the cool Bronc Rider artist's print you can win by being the first with the correct answer. Please note that while the Cottonwood Clarion is changing to coming out the fourth Sunday of each month the Merlin Fanshaw Weekly Puzzle will be posted each week as always. Just look for the newest Puzzle each week (I use the next following Sunday date for the deadline to answer the Puzzle. So far winners have happened on the first day of posting. You guys are good! Congratulations to last week's winner Donna Delgado of Versailles, Kentucky! I bought this book for my dad, who is a huge Stan Lynde fan and he loved it. He has several other Stan Lynde books and likes them so much he reads them over and over. This Sunday's Grass Roots Cartoon feature 04-22-12 "Making A Living" reminds us of the struggles many people all over the world have with costs of living going up faster than wages. It also reminds us of the businesses that simply can't make it because of difficult economic conditions. Many work two jobs to survive (that includes the normal modern households of today that often require two adults to work outside the home to make a household survive economically) and those who simply have fallen out of the system from lack of hope of finding work. This link will take you to the Grass Roots Cartoons http://stanlyndeauthor.com/?page_id=2211. This particular Stan Lynde LATIGO Sunday Cartoon Strip 04-22-12 finds Latigo needing a hotel room. The conditions may remind us of unplanned travels we may have encountered in a similar situation trying to find a good night's accommodation in a strange town. http://stanlyndeauthor.com/?page_id=2225. 04-22-12 Whiskey, Barkeep, (very funny!) see full cartoon at: http://stanlyndeauthor.com/?page_id=2240. That's it for this Cottonwood Clarion Newsletter! Have a great month, and plan on watching your email for Sunday May 27th (the 4th Sunday of each month)! 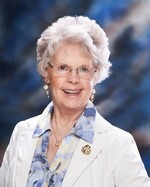 Tell your friends they're welcome to join in at http://stanlynde.net/cottonwood-clarion-signup_314.html. Otherwise please check for the weekly cartoons and features at http://StanLyndeAuthor.com EVERY WEEK! On the chuck wagon's left side rode a water barrel, large enough for a two-day supply on the trail. On the opposite, right-hand side, was a tool box containing horseshoes, nails, hobbles, wire, hammers, rasps, and what-not,. Large pots, pans, and Dutch ovens rode in the boot beneath the chuck box, while the wagon box itself held bedrolls, corral and stake ropes, slickers, and often an extra wheel. Click here to forward this message to a Friend. Sorry to see you go, but if you do not want to receive future email communication from us, please use the link: unsubscribe. None of the Stan Lynde sites are directed at children under 13.